Artis Winery is located in Pembroke on the South Shore of Massachusetts. Situated in a commercial park, our location reflects the simplicity of our focus - to handcraft premium wines. This may be an unlikely location for a winery, but our unassuming facility allows us to concentrate on our craft. We are passionate about what we do and enjoy sharing insights about our wines and the winemaking process. As a winery, without the constraints of owning a vineyard, we have the flexibility to work with growers locally and on the West Coast. This approach allows us to choose different grape varieties each vintage. Our selections are inspired by our travels to various winemaking regions and meeting with growers and winemakers with a wide range of experiences and winemaking philosophies. Our philosophy is to make exceptional wines with minimal intervention. Each growing season nature produces fruit that is unique from the year before. Our goal is to craft wines that are authentic to the grapes harvested. We use traditional and modern techniques to develop the characteristics of the grape variety and the terroir from which they were grown. 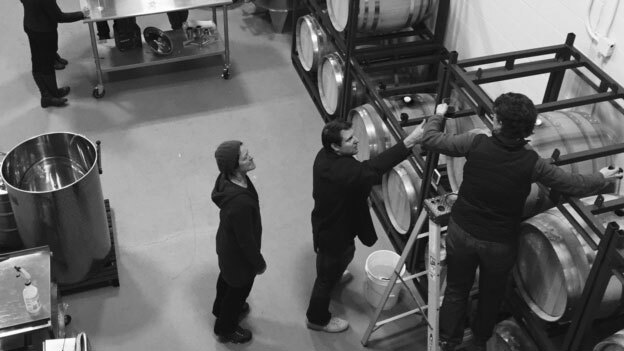 Artis' small lot production allows for a hands-on approach with all aspects of the winemaking process. We incorporate the art and science of winemaking to create a balance between fruit, acid, tannin, and oak. Our winemaker followed the path less taken - she decided to remain close to family and friends and make wine here at home. Her respect for the land, grapes, and the winemaking process is evident. Handcrafting premium wines is at the root of what we do. Jacquelyn began studying and making wine as a student in the Boston University Wine Studies Program. After completing the program, she attained accreditation as a Certified Specialist of Wine from the Society of Wine Educators. Jacquelyn continued making wine and pursued further education at the University of California Davis, graduated from the Washington State University Enology Certificate Program, and is currently enrolled in Washington State’s Viticultural Program. Jacquelyn's travels allow her to explore various wine regions to understand different grape varieties, terroirs, and winemaking techniques. Her dream became her passion and Artis Winery was established. © 2019 Artis Winery. All Rights Reserved.